There are many Bible verses that speak directly to leaving the past in the past. 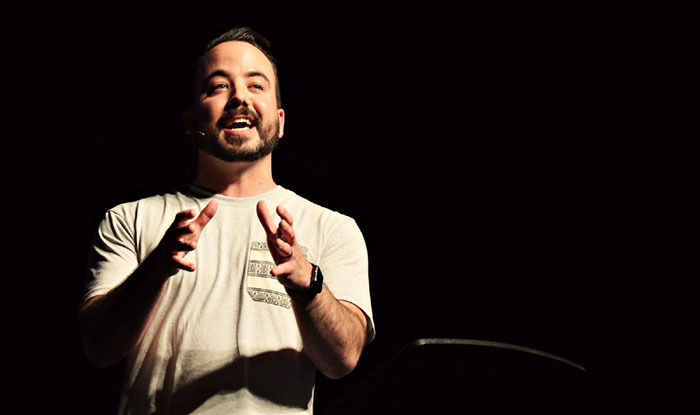 The executive pastor of Central Christian Church keeps getting invited back because he’s such a great story-teller, and the tale of his adventurous 6-year-old son swallowing a nickel — especially the surprise ending — had the audience both laughing hysterically and nodding to his message. Jernigan used the Book of Jonah to describe the two places many people are in life. Some feel like Jonah, who didn’t want to fulfill God’s call to preach to the wayward people of Nineveh and get them to repent. Jonah didn’t want anything to do with them. And some feel as if they’re too much like the people of Nineveh and are beyond God’s help. “It’s much easier for God to move beyond our past than it is for us,” Jernigan said. Just as God sent a large fish to swallow Jonah, protect him from the raging sea and deliver him to dry land, He is looking to place things in our lives to get us pointed in the right direction. Then Jernigan segued into the story of the nickel, which starts in the 10th minute of the replay link at the bottom of this story. The CliffsNotes version: His son finally passed the nickel after several days of parental anxiety about whether it would require surgery. So the question then became what to do with it, and this is where Jernigan drove home his point about letting things go. He pulled out of his pocket a necklace … with a nickel on it. That nickel. And he put it on. ● For the replay of Jernigan’s talk, click here.